Senate Republicans, where is your moral courage? Where is your commitment to your constituents to keep us safe from harm — this time inflicted by an erratic, lying, threatening, incompetent Donald Trump? When will your voices be heard? 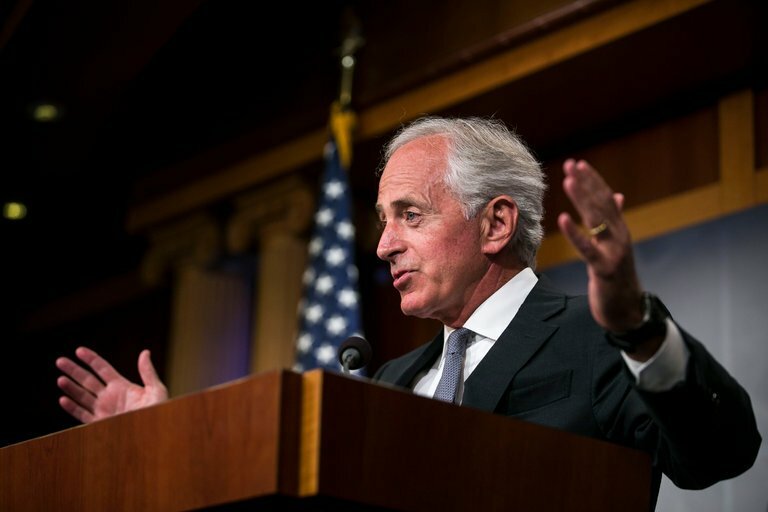 Senator Bob Corker, under attack from the president and fellow Republicans because he dared to voice his alarm at Mr. Trump’s childish, petulant, destructive instincts and behavior, stated that the vast majority of Senate Republicans understand the dangerous situation triggered by Mr. Trump’s volatility. The Senate Republicans know full well the daily efforts made inside the Trump White House to “contain him,” Mr. Corker claimed. It’s long past time that Republicans in Congress wake up, develop some courage and take action. Senator Bob Corker, a respected Republican and chairman of the Senate Foreign Relations Committee, has now plainly stated what many have known but refused to acknowledge — that Donald Trump continues to lie, and is temperamentally unfit and unqualified to be president. Mr. Corker doesn’t mince words: He makes clear that Mr. Trump is unstable and is on a path to bring about World War III. Trump supporters surely understand that Mr. Corker is not “Crooked Hillary” or a member of the opposition. "My question for Republican leaders is: How long are you going to wait to prevent a real catastrophe? Is your concern about being challenged in a primary or not being re-elected more important than averting a nuclear war, the erosion of our system of government and loss of American credibility abroad?"